Vegas Mobile Casino is one of the new online betting sites, having been established in 2014 in the casino industry. It provides games and services for players across many parts of the world through its mobile platform. In less than five years, Vegas Mobile Casino has proven to be one of the most trustworthy casino sites today. If you are looking for a reputable online casino where you can enjoy hundreds of games without leaving the comforts of your home, you can head to Vegas Mobile Casino instead. One of the best things about this online casino is that it allows players to withdraw their money quickly. Normally, you will have to wait at least 72 hours before you can get paid but Vegas Mobile Casino lets you have your cash within 48 hours. Simply request for the withdrawal of your funds and you can get them by the next couple of days. If you have any concerns about the games or you want a certain issue addressed, the customer representatives are always online. Plus, you can contact them anytime of the day since their lines are open 24/7. The entire website is mobile-friendly so you do not have to switch to a bigger screen to play games. Vegas Mobile Casino is licenced by the United Kingdom Gambling Commission and promises to maintain a secure channel for gambling to its players. On the other hand, the website is only available in English, which means those who cannot understand the language may have a hard time playing on the website. Vegas Mobile Casino has many payment options but it does not include PayPal. Also, it is mentioned above that you can contact the casino anytime. You can communicate with them through email or phone. However, you cannot talk to the representatives of the casino through live chat. Vegas Mobile Casino has several games on its list. If you are searching for a place to enjoy desktop and mobile slots, you will find this site enjoyable. Since it is a mobile casino, all its games are accessible using your smartphone or any mobile device. A total of 400 games are provided here and you can play them on both your desktop and phone. The casino does not have live dealer games though, which may be a disadvantage for those who want to interact with an actual casino dealer. Nevertheless, you have hundreds of other games to choose from, including those from NetEnt, Microgaming, ELK Studios, and NextGen. Once you have racked up enough money that you would like to withdraw, you can choose from the several options that this online casino accepts for withdrawing funds. Among the top choices are Visa, MasterCard, Neteller, and Skrill. You can withdraw any amount and you can get the money within 48 hours. Meanwhile, if you would like to make a deposit, be sure that you deposit at least £10. You can choose from options, such as Qiwi, uKash, Webmoney, Neteller, and Skrill among others. Vegas Mobile Casino also offers signup bonuses for new accounts. 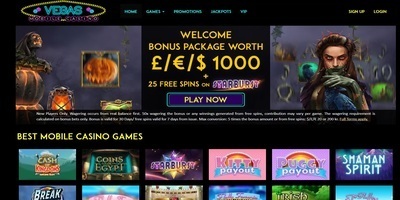 You can get 100% of your deposited amount and free spins on Starburst slots. 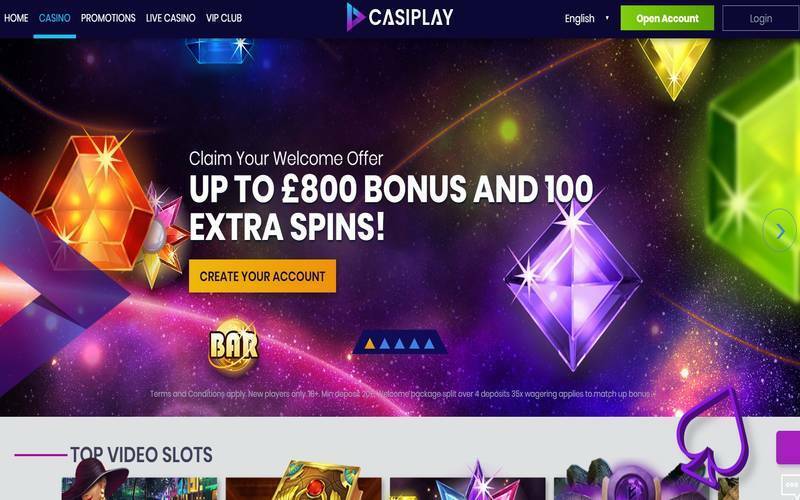 The website will award you each time you make a deposit up to three times so the total welcome bonus amounting to £1000.